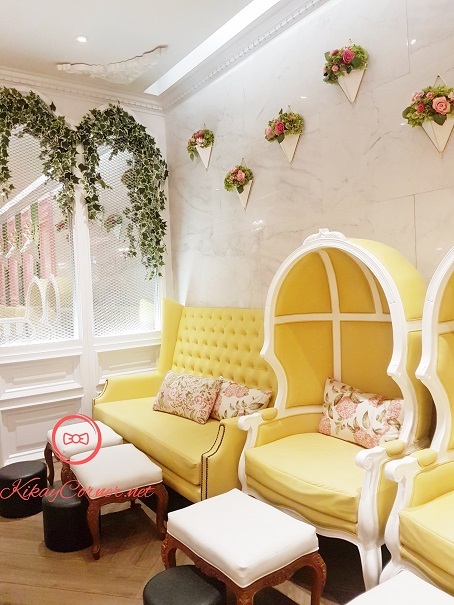 I came inside French Tips Nail Salon impressed as I found myself welcomed by its luxurious French elegance. I totally love how pretty the place is! 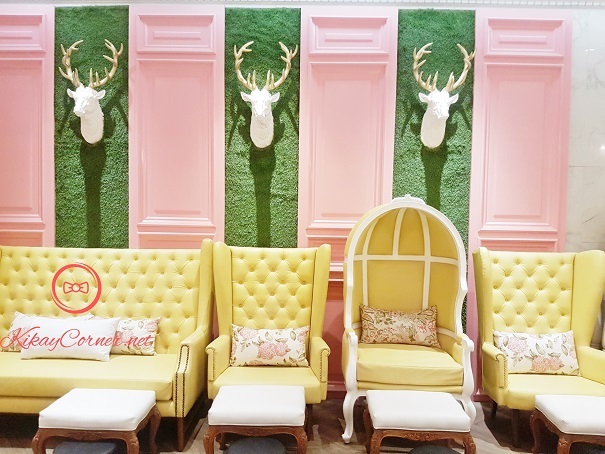 The high back armchairs straight away summoned for me to come indulge to the pampering that I was there for. “Me time” was in order. And this, who can refuse? 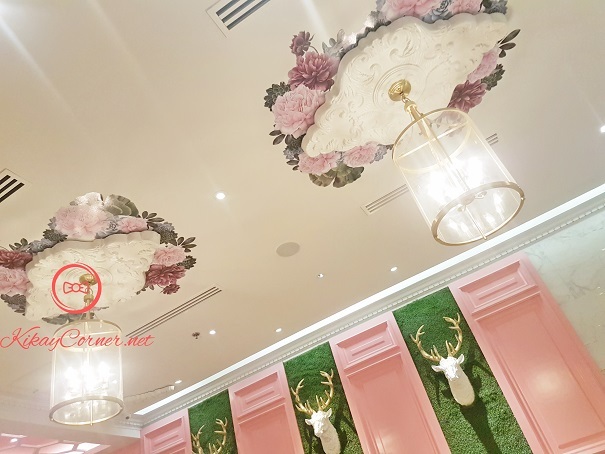 The intricately-designed ceiling is love! WaterColors by Honeybee Gardens is a water-based nail enamel that is free from harsh-chemical ingredients. 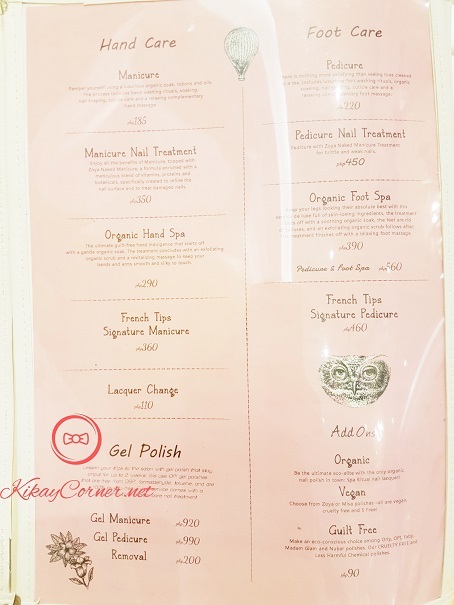 French Tips is intentional in using brands that are free from toxic chemicals that a lot of popular brands carry. 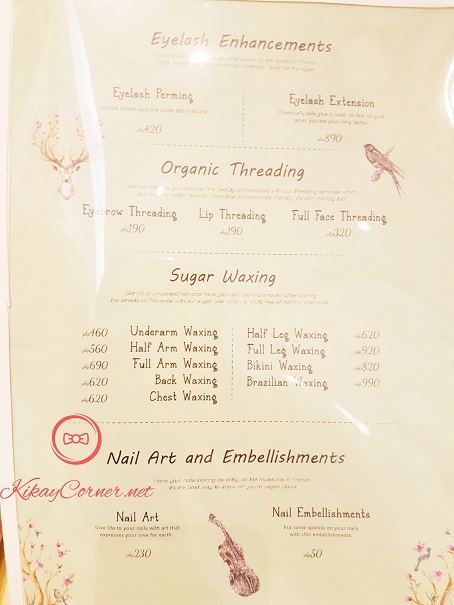 Other polishes that French Tips carry are international brands like Beautylish, Piggy Paint, Suncoat Products, Acquarella, Pritinyc, Sparitual, Zoya, Misa, OPI, Orly, Nubar, Faby and Color Club. 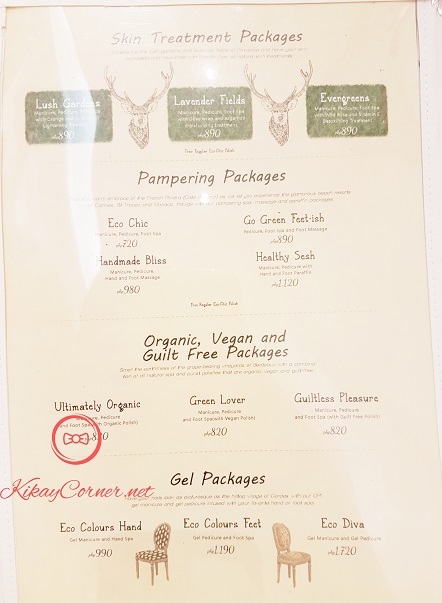 Products that are FREE from Formaldehyde and Paraben ingredients. My digits are fierce and ready for the weekend! Healthy Cocktails Menu: Cranberry & cream cheese bruschetta, Sundried tomato, basil & white cheese skizza, Chicken & walnut crepe, Vegetable lasagna, Strawberry cupcake, Blueberry yogurt tart, Raspberry iced tea, Lemonade-lavender juice, Blue pea & cucumber juice. 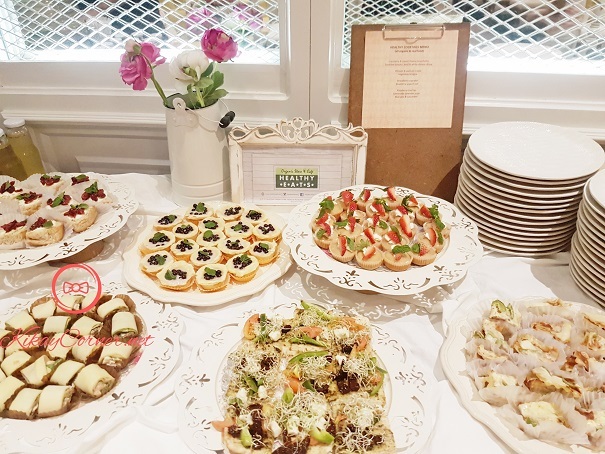 I loved that the food served during the launch was consistent with the overall theme of the nail salon – all natural! 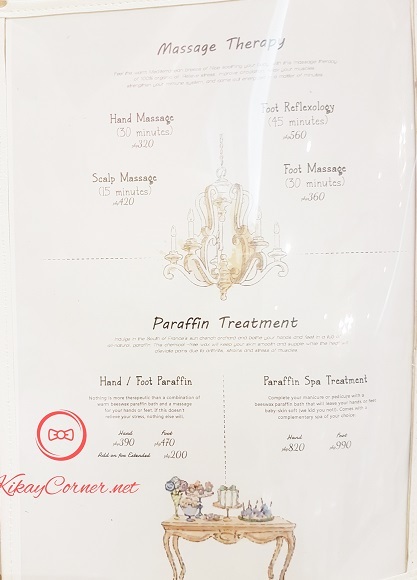 I totally loved my French Tips nail pampering experience! 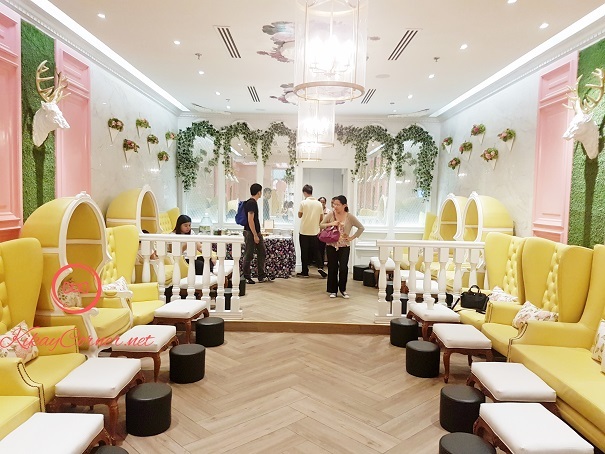 French Tips branches are located in SM Megamall, Nuvali Solenad, Ayala Terraces, SM Mall of Asia and the recently launched SM Aura. 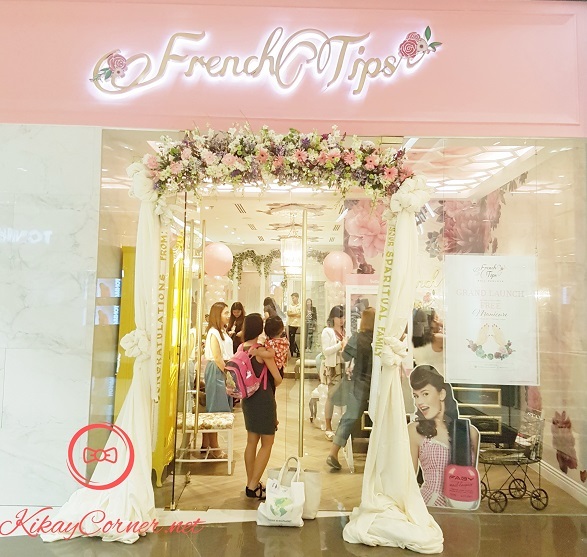 Visit www.frenchtips.com. Like French Tips on Facebook and follow them on Twitter @_frenchtips and Instagram @frenchtips_ecochic_nailsalon.